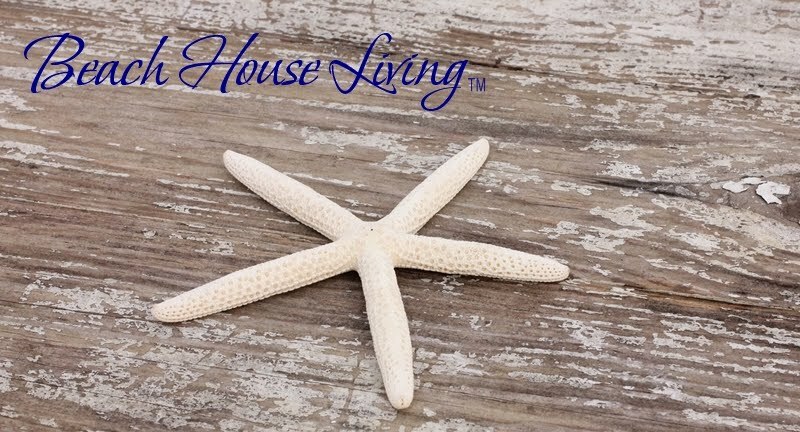 Beach House Living: Giveaway enter to win Give Back No.2 in honor of World Ocean's Day June 8, 2011. You act I give. 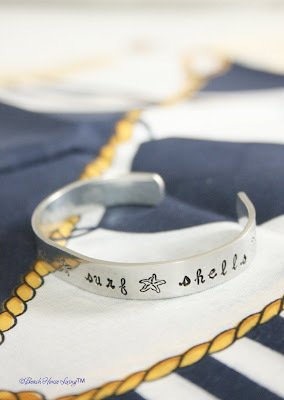 Giveaway enter to win Give Back No.2 in honor of World Ocean's Day June 8, 2011. You act I give. 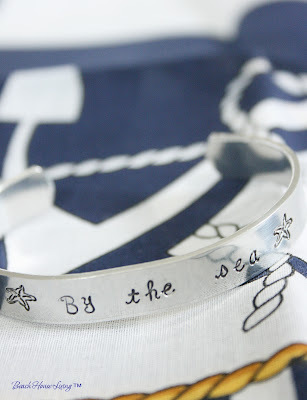 A summertime giveaway in honor of World Ocean's Day celebrated on June 8th of each year. Some of you might remember my giveback last year as I called it shortly after the BP oil spill. So much marine life is affected and suffers by the careless disposal of trash. Our oceans need your help to protect and conserve them. Recycled, re-purposed, re-claimed, re-useable can help trash from reaching our waterways. It's not a requirement of entry to blog, mention it on Facebook or twitter about it but, I would truly love your help spreading the word. ice cream spoon set as seen in Stuff Boston Magazine. Two hand stamped aluminum bracelets with sea side sayings. These are the easier to make flat version. and so your table cloth is more likely to stay put. 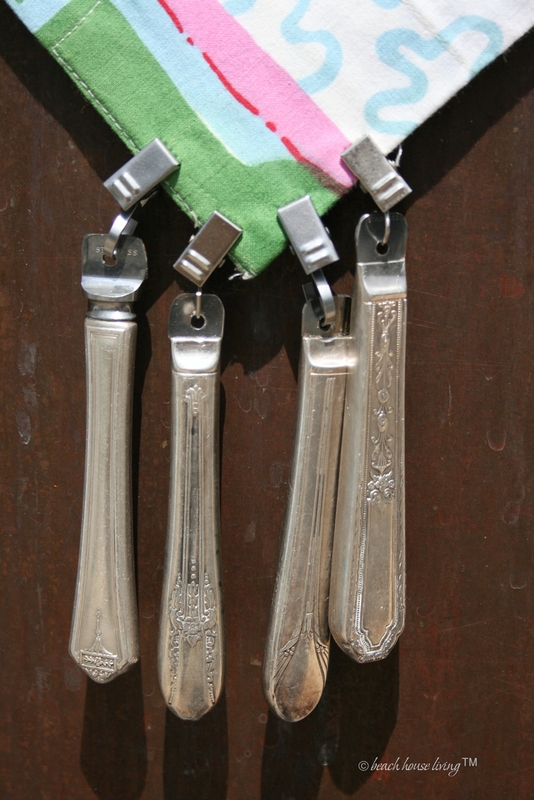 Set of four silver plated table cloth weights. unless you have two (2) in each corner. 16.5" wide x 4" deep x 14" high. Great beach bag or market tote. This is the non USA non handmade item. Rules of Engagement ~ a little different this year. Still easy peasy because I know most of you do or have done this. recycled or re-purposed into something new. What environmentally friendly things do you do. coastal cleanups, ride a bike to work etc. 4) The Fine Print: Understand and agree any taxes which may be due on prizes are the responsibility of the winner. Designs shown handmade or otherwise are or may be subject to U.S. Copyright and Trademarks. Each of us is "response-able"
We can, together, make a difference. Very creative...I especially like the spoons, table weights and cheese markers. And thanks for letting us know about World Ocean Day. June 8 is my son's birthday...cool! I love this! 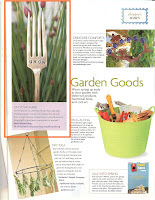 I include a Coastal Activism page on my blog, so this is near and dear to my heart (plus I love your spoons/forks which I feature on my blog sidebar!). Okay-I do the typical recycling bin items at home all the time. I also volunteer for the Save the Manatee club and support the Ocean Conservancy. I just got back from a bike ride, so my brain is shot beyond that! Many thanks again! Your items are super and beautiful one-of-a-kind pieces! PS-I'll post this on my blog, too, if that's okay??? I recently repurposed some old dresses that didn't fit into throw pillows and drawstring bags! been a follower for quite some timenow!! I really love your blog, I would love to tell you about a recent recycle project my husband I made, we took a high chest/dresser, it was about five ft. tall two ft. wide, with small spindel legs, we dismanteled it, took the sides hinged together to make a room divider/screen. It stands alone on the four legs left attached to the sides. painted white, some big mermaids and some light blue strips, and the molding that used to finish the top of the chest, cut in half now sits on top of the panels that make the screen. we took the top of the chest and it became another art piece, and the fronts of the drawers put together became another functional art piece, mermaids and drawer pulls in shapes of fish and star fish. 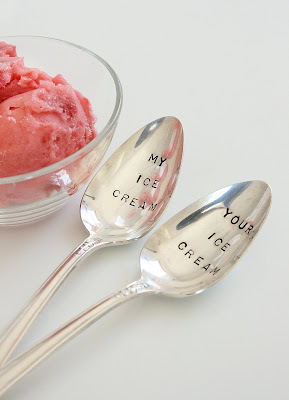 That ice cream spoon would not sit idle with me, haha!! Looooove the bracelets. Will include this in my next two coastal mix posts for sure. Thanks, Rita!! I love your blog.....I became a follower.......found you on facebook and shared your shop.......we recycle records into bookends, clocks, bowls and scrapbooks and I love love love your spreaders with the sayings!!!! The spread peace is my favorite!!!!! Oh wow, what an awesome giveaway!! Ooo I love them all! 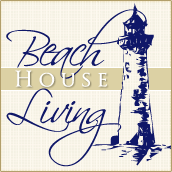 Hi Beach House-I did a bigger blurb on Monday with the World Oceans Day logo,etc. - I think your giveaway is important and a GREAT one with all the beautiful items! Thanks for doing this. 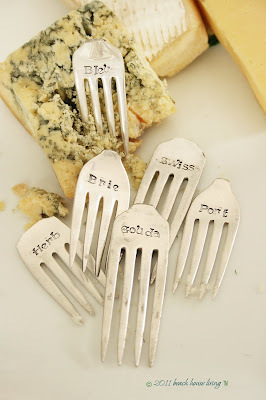 I'm from Canada... but I just wanted to say how much I love the cheese forks! Love the ocean and what June 8th stands for. 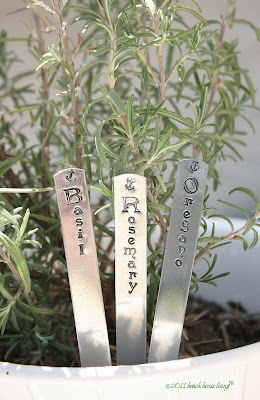 I love to recycle repurpose, and renew and even have a whole section on my blog filled with projects that have reused old stuff. I love your giveaway, I thought I would have to tell you which one I like best - how nice to get it all in such a nice bag that would be perfect to tote around town and to the beach. 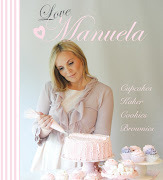 This is a wonderful giveaway and I would be thrilled to win any of the items... I am already a follower but noticed that your list of followers appears to be missing (not sure if it's a problem my end or with Blogger). I recycle antique, vintage and luxury materials into soft furnishings, accessories, gifts and artworks. My home was painted using No VOC paints, old furnished revamps and the box frames for my artworks are hand crafted using reclaimed timbers. Hi Rita, as lasts year's winner of your fabulous giveaway, I won't be entering this year, but I just wanted to thank you for honoring our oceans and always being such a thoughtful steward of our environment. I'll still share just a bit of what I do in hopes it will give others a few ideas. I always carry a trash bag with me when I go shelling to collect the litter left by others, or that is washed ashore from some thoughtless boater or fisherman or that ends up in our ocean because of a passing storm. I still drive an energy-efficient car and I'm saving up for a bicycle. I try as much as possible to buy locally grown, in-season fruits and vegetables. Once I get moved, I will grow as much of my own as I possibly can. I strive to make everything from scratch and do not buy packaged meals or fast food. I only buy sustainable seafood, if I can't find it, I don't buy it. I try to stay on top of legislation that affects our environment and then make phone calls and send emails to my elected officials who will be voting in Congress. While I've posted about ocean conservancy before, this year I made it my personal mission to do this a lot more and provide links on my sidebar for others who may be interested in learning more. I repurpose vases, frames and mirrors in my craftwork. My goal is to write children's books that teach ocean conservancy to young children. Today I posted a link to your giveaway in my post - the more the merrier and the more involved, the more chances we have to spread the word about conserving our precious oceans! Thanks for all you do to benefit our world! online or over the phone, we buy most of our needed items at thrift store, reuse stores or garage sales. We found a nice little wood cutting board at a garage sale and it was missing a leg so we cut a piece of cork from a cork stop from wine and glued it on the bottom of the cutting board, works just great. Oh I love your blog so I'm already a follower and I am smitten with those bracelets! I try every day to be environmentally friendly since I am dedicated to showing how to enjoy the beach and seashells but be responsible about wildlife and respectful to the living creatures of Sanibel Captiva through my blog... oh and it sure is fun too! A great giveback and such a wonderful giveaway! Lets see, I recently made some placemats into pillows, would that count as repurposing? We've been recycling for years. We have the largest family on the block, but only have one trash bin, and two recycling bins. Many of our neighbors have 2 trash bins instead. I came over from Shellbelle's...isn't she sweet? Your giveaway items are all lovely and I'd be thrilled to win. I am signing up to follow. Some things we do to help the environment: recycle plastic bags, reuse or recycle various plastic items, use the new type light bulbs (can't think what they're called), and refinish old furniture. My husband is also a great conservationist and has taught our son and grandson to care for the land and animals and follow hunting & fishing laws. Anything we can do to help, we should! Thanks for reminding us all. I try to stay aware of what impact I have on the environment.. I know I could do better.. but presently downsizing in a big way.. which feels like waste [although giving to goodwill].. and the aim now is not to get back into the cycle of having too much.. one way of not adding to the problem. 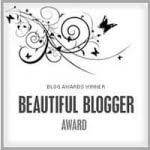 Love your blog and just officially became a follower! This giveaway is great but your message is even greater. I also collect sea glass to make jewelry with and have a few items in my Etsy shop too. I am a new follower. I LOVE all of your creations, especially the bracelets!! I recycle paper, plastic, & cans. My family and I go boating on the OH River & pick up trash from the banks. At least what we pick up won't ever make it to the ocean. I've also started collecting driftwood from the river bank to make various crafts & furniture instead of buying "new" wood. I remember your give away last year Rita! Such a great way to inspire folks to keep our beautiful oceans clean. This past school year I started cleaning out our 16oz peanut butter jars and using them for everything! They are crystal clear plastic with pretty plain red lids. They make perfect containers for school hot lunches, my kids even use them for packing cereal, using a second container to bring milk. With 5 kids who LOVE peanut butter I always felt bad throwing them away, now I use them for EVERYTHING!!! p.s. Thank you for helping me with my blog comments, luv ya! I found your blog thru Shellbelle! I especially like those bracelets - they remind me of the POW bracelet I wore during the Vietnam War. We re-cycle and re-purpose a lot of stuff: Cans, glass and papers into recycling bins is the easiest way at home. We cache in and trash out when we are out geocaching. I am forever grabbing discarded chairs from the trash and I refinish them. I glue shells to any mirror and picture frame I come across. And tee-shirts get turned into pillows, quilts and purses. Thanks for hosting the give away. I'm glad I found your blog - I'll be back! Of course, I'm a follower and this giveaway is delicious! I was offline for about 10 days due to computer issues and a graduation in the family so I missed this the first time around. Thanks for re-posting!! We recycle as a family, but I also love to take items into my preschool class that we can use in art projects. Four years ago, I started "family walks" once a week in the summer to make our Target or drugstore runs instead of jumping in the car. Harder to get my teenagers on board now, but they're always glad we do it, and I'm glad for the help carrying the bags home. Thanks for hosting!!! Great prizes! I´m living in Denmark,Europe - so no chance for me. But still love your blog ! Fabulous giveaway and love the items for the prize. We are currently re-using wood from another project to re-build our back deck. We try to re-use everything we can for all our projects. Low VOC paints are a must for all our projects too. I love this... so up my alley! I used vintage silverware and attached them to fish made out of wood..and painted (distressed look) with different sayings.. ie; boat...cargo...sea...etc..
the silverware is turned up so it is used as a hook... that is one.... I could go on! I will so blog..tweet and fb you to death! Anything to save Mother Ocean and all involved! ps.. I am a follower already! OMG!! I LOVE your blog!! I came here from Gypsea Nurse's blog. Blogger will not let me sign up to follow your blog~so I will keep checking back to do so. I use enviornmentally cleaners and pest control. I participate in annual Earth Day clean-up programs. I always cut apart 6-pack rings so that no animal can become trapped in them. I will not participate in baloon releases due to the treat that the deflated ballons pose on wildlife. My teenage boys participate in our Church Youth Group's clean-up service event yearly. Our family has refillable water bottles and I am forever "rescuing" items that can I can repurpose. This is so wonderful and I almost missed it, good thing Cricket posted it at Gypsea Nurse! We recycle anything that we can and I love reusing old wood to make signs and my latest sea creatures! :) I am a happy follower as well! Well, if this isn't the darndest idea! Absolutely the bee's knees. I take cashmere and angora and other soft natural materials that have been "turned out of the house" and create small dog sweaters by the dozens for our long 'n' lows to keep warm in. Which is funny because I could never afford such luxury fabrics for myself! I also recycle along with most everyone else in our city of trees (Lansing, Michigan). Also, my fur babies Frodo and Albert never ever waste food. NOTE: This blog is Awesome! Following now and invited a friend too. Oh, my, I'm barely meeting the deadline! What an absolutely fabulous & generous giveaway! I try my best to use and reuse just about everything I have...I don't mind buying second hand clothing, recycling yarn from tattered sweaters, making new things from old things and we are forever trying to conserve here at our house! Also, we always participate in our local beach clean up twice a year! Every little bit helps. Your creations are super! In the past I've repurposed bowling balls into yard art. I also did a series of projects called "Thursday's Throwaways" on my blog where I recyled/repurposed items into my crafts/cards. I entered but don't see my post here! :>( did I enter incorrectly? thanks. Wow!! All the new stuff it AMAZING!! I might have try to go shopping in your lil' shop soon!